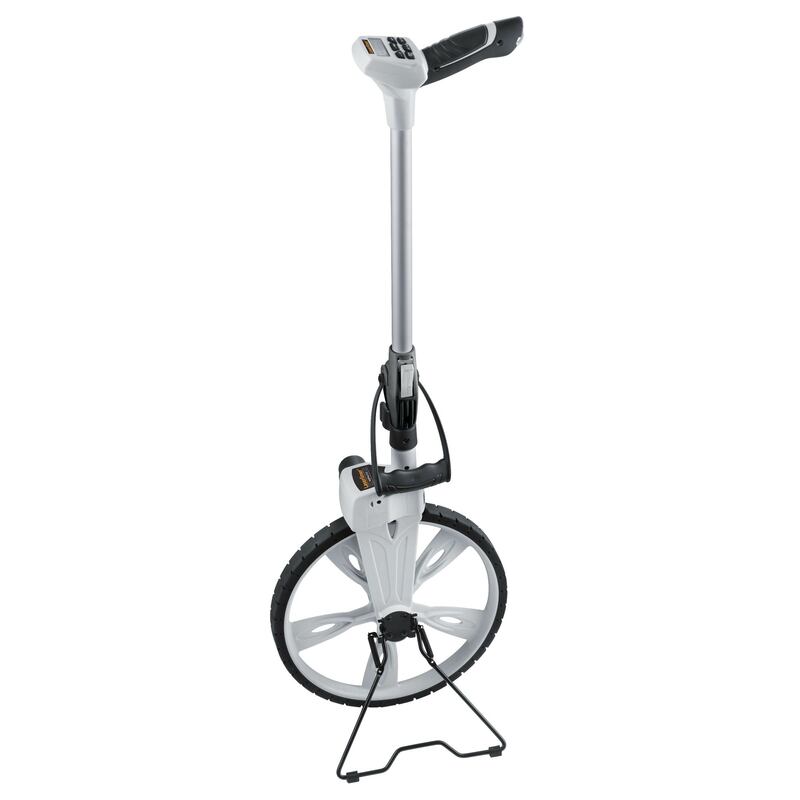 Laserliner RollPilot D12 electronic measuring wheel for use on straight lines or curves. Electronic metering wheel delivering accurate to the centimetre when measuring distances up to 9,999.9m with large, easy to read, illuminated LCD display for precise measurement, +/-0.1% accuracy. Hold function for holding the measured value. The moving pointer shows the exact start and end positions. Folding design and softbag for easy transport. Measured value memory for 5 entries.